Over two-thirds of the territory of Montenegro belongs to the karst of south-eastern Dinarides. The karst in Montenegro differs along the territory, by its distribution and position, its position in relation to the non-karstic terrain and the Adriatic sea, and by its occurrences (various forms and dimensions) and processes. This comes as a consequence of diverse sedimentation conditions, as well as different geologic evolution of individual parts of the Dinaric geosyncline (both in space and time). A segment of the Dinaric geosyncline which forms the terrain of Montenegro, is predominantly (on two thirds of the territory) built up of limestone and dolomite sediments (from Devonian; to the nowadays). Since the end of Devonian period (ending phase of Caledonian orogeny), it has been uplifted and lowered by numerous phases of Hercynian and Alpine orogeny. Due to epeirogenic and orogenic movements in different geological times, since the end of the Devonian period to the final uplifting of Dinaric geosyncline, when present territory of Montenegro (end of Middle Miocene) has been formed, some parts of the geosyncline bottom have been, more or less, uplifted and lowered. This caused favourable conditions for sedimentation of different products, among which were dominant those who have formed limestones and dolomites of great thickness and distribution. It is easily noticeable that the epeirogenic and orogenic movements have been advancing from north-east to south-west. During those movements, there were relatively quiet periods when small islands existed, protruding above the sea level as islands. The climate was also variable, but mostly favorable for the development of karstification. Simultaneously with these movements, particularly during the Laramidian orogeny (Upper Cretaceous – Lower Paleogene), the folding, faulting, overthrusting and even movements which caused creating of nappes occurred. As a result, the rock porosity increased favouring the karstification process and forming today’s karst – a geological product of very complex and enigmatic occurrences and processes.With the aim to present the most important properties of the Montenegrin karst, its complexity as well as the characteristic differences of individual parts of the territory, karst zoning was carried out. The most logical way to do this was to identify the karstic properties of the individual geotectonic units of Dinarides, which built up the territory of Montenegro. 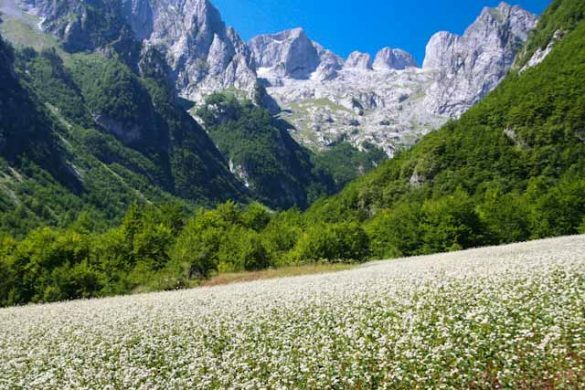 Therefore, the properties of the Durmitor Overthrust, the High-Karst Zone, the Pindus-Cukali Zone (in the territory of Montenegro Budva–Bar Zone) and the Adriatic-Ionian fold System (in the territory of Montenegro Adriatic fold System) are presented. Parts of the Dinaric geosyncline, which formed rocks in general and by this the karst in the territory of Montenegro, had different and specific geologic evolutions. Subsequently, on the terrains of cited geotectonic units, specific karsts with present properties and appearance developed. With development of the karstification processes the karst differences of the geotectonic units became smaller. This characteristic is notable in the karst of Montenegro. Karst of the Durmitor nappe, although spacious (over 5.000 km2) and several kilometers thick, with large aquifers, is divided into several regions among which are significant karst of northern and north-western Montenegro, karst of Bjelasica and karst of north-eastern Montenegro. Due to the presence of Late Palaeozoic and Lower Triassic clayey-marly-sandy beds, Middle Triassic eruptive rocks and Middle and Upper Jurassic diabase-chert formation rocks, karst in these regions does not represent a unique entity. Karst of these regions has the characteristic of holokarst. The limestones and dolomites of these regions are the oldest ones and they have been exposed to karstification for the longest period, even since the Upper Jurassic. The karstified limestones and dolomites of this geotectonic unit, although mutually separated, build up the largest and the highest mountain massifs in Montenegro. Although there are canyons deeper then 1000 meter, the karstification of limestones and dolomites of this geotectonic unit proceeds and descends deeper then fluvial erosion. Karst of this geotectonic unit is characterized by fluvial erosion (deep canyons), glacier erosion and lacustrine erosion. As a result, karst of this geotectonic unit, besides characteristics common to holokarst, has properties of high-mountain, fluvial, glacial and contact karst. 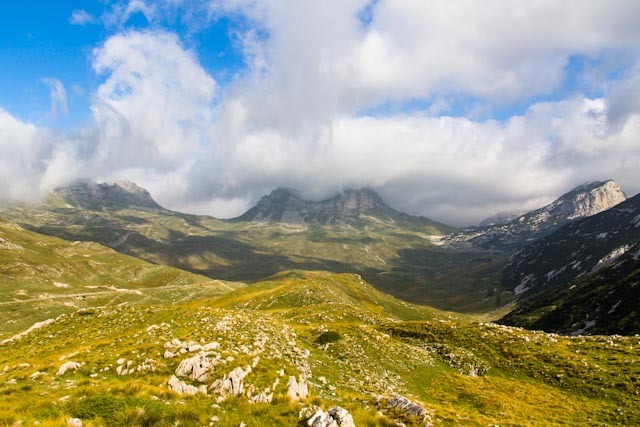 In the territory of Montenegro, the High-Karst Zone has the greatest extent. The terrain of this geotectonic unit is mainly built up of Mesozoic (Triassic, Jurassic and Cretaceous) limestones and dolomites of several kilometers of thickness. This thickness is even larger, due to the reverse faulting and overthrusting and thus repeating of carbonate series. 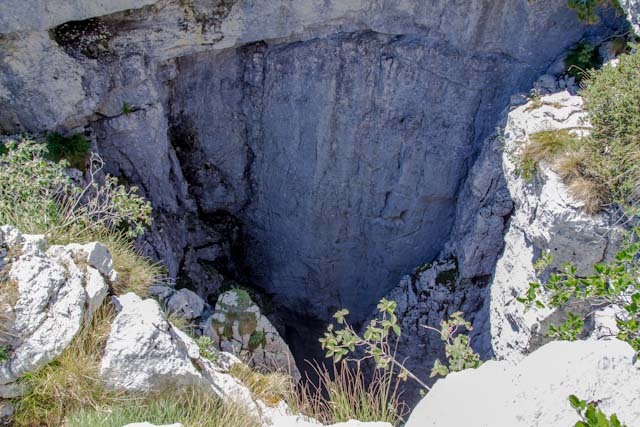 The karst of this region is characterized by all surface occurrences and all processes characteristic for holokarst such as: karst plain; polje; uvala; sinkhole; dry, hanging, blind and karstified valley; lapies; canyon; shaft; cave; resurgence; vrulja; estavelle and so on. Within the karst of this geotectonic unit exist syncline regions build up of impermeable flycsh beds. The layers of Durmitor flycsh of the uppermost north-eastern parts of this geotectonic unit have various hydrogeological features and functions. In the terrains built up of clayey-marly-sandy beds and at lower elevations, such as the valley of Vrbnica and Gornja Moraca, the layers of Durmitor flycsh are impermeable and represent a total barrier. 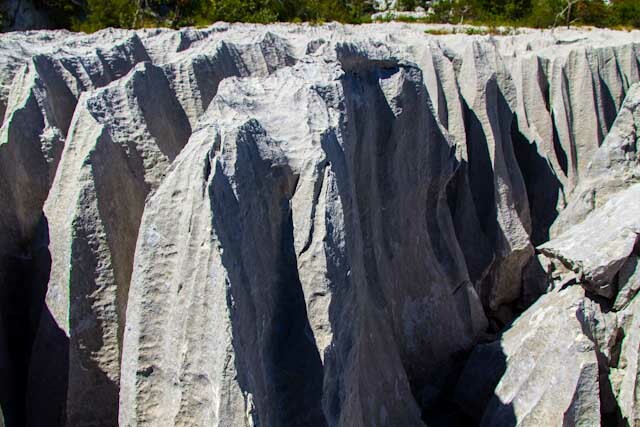 In the terrains built up of varied, more or less marly limestones, comprising narrow zone and located at the height of over 1.000 meter, as in the case of south-western slopes of the Durmitor massif, they represent a water permeable media. It is interesting to mention that the deepest cave (897 meter) in the territory of Montenegro explored by speleologists is located in these rocks. The middle belt of High-Karst Zone in the territory of Montenegro is built up of Upper Cretaceous-Paleogene flysch beds. The distribution, position and impermeability cause this flycsh to have a function of elevated and lateral barrier. The karstification of limestones and dolomites in this area is below the base level of erosion, below the sea level and is deeper then 1.000 meter. 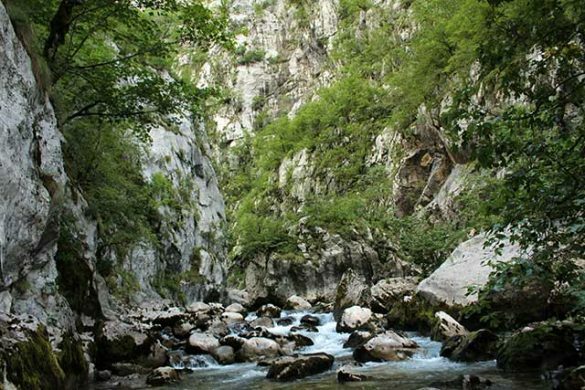 The High-Karst Zone has all the prominent characteristics of: fluvial erosion (deep canyons of Komarnica and Moraca rivers with their tributaries), glacial erosion (on the high mountains), lacustrine, sea and combined erosion. 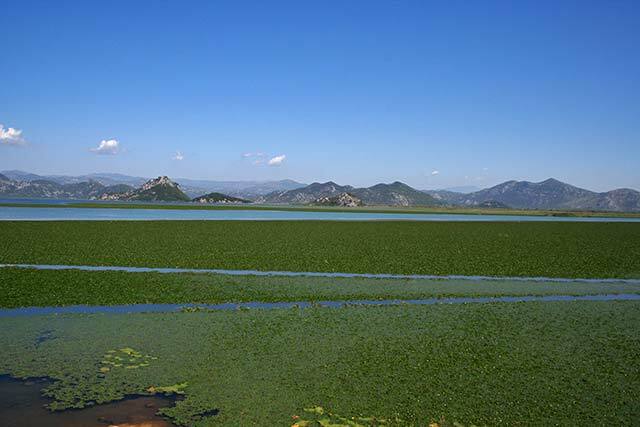 The spacious Zeta depression with the largest lake on the Balkan Peninsula – Skadarsko Jezero, is situated in the High-Karst Zone. Parts of the bottom of this lake represents a cryptodepression. Sublacustrine springs (vruljas) exist in the Lake, with bottoms at depth of over 80 meter below water level which is about 6,5 meter above sea level. In the Zeta Plain loess deposits are found. 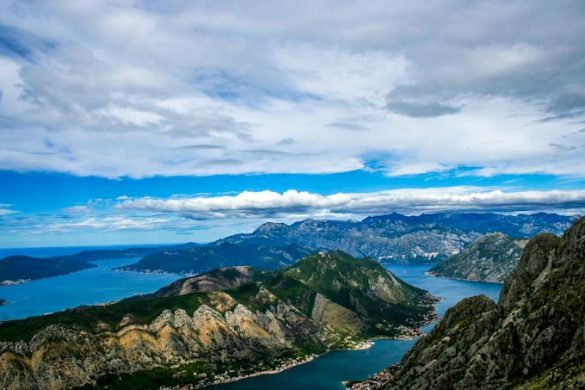 Along the internal belt of Boka kotorska bay, from Morinj, across Risan, Perast and Orahovac to Kotor, the High-Karst Zone is in direct contact with the sea. In these terrains are located the largest vrulja on the Adriatic coast, called Sopot, and the greatest estavelle horizon – Gurdic-Skurda. The vast differences in water-yielding capacity of the constant and periodic karst springs point out to the strong karstification of High-Karst Zone limestones and dolomites. The difference between minimal and maximal water yielding capacity is over 350 m3. Karst of the Pindus-Cukali zone, in the territory of Montenegro Budva–Bar Zone, is characterized by contact and contact-fluvial relatively low karst. Notable within this zone is frequent alteration of karstified limestone’s and dolomite’s with terrains built up of sedimentary and volcanic rocks. The seepage aquifers and the seepage karst aquifers in the karstic terrains of this zone, outside of the sea influence, are few and of small depth. Their dynamic reserves are small, providing hardly 5 l/s during the drought periods. The seepage karst aquifers of this geotectonic unit are, in several places, in immediate contact with the sea. These are low and shallow aquifers with brackish water. In this karstic area, water-rich aquifers with dynamic reserves do not exist. The reason for this is a small distribution of cavernous limestones. In this region there are cavernous limestones with static reserve which give by pumping, during the drought period of the year, over 50 l/s of water (Opacica). Karst of the Adriatic-Ionican fold System (in the territory of Montenegro-Adriatic fold System) is represented by karst with anticline structures, four of them situated in the hinterland of Ulcinj and separated by synclinal structures built up of flycsh deposits. These folds, which strike from Albania and across the hinterland of Ulcinj toward north-west, sink under the sea at the north-western margin of the Bar plain. Only one of them, the anticline structure of Grbalj and Lustica, appears again in south-eastern marginal part of Mrcevo plain trending to Dubrovnik. Karst of the Adriatic anticline structures in the hinterland of Ulcinj and external folds of Boka kotorska bay are characterized by the occurrences of exposed, coastal karst. This karst is low but with deep slope below the sea level. The karst aquifers in this region are, during the whole year or for shorter periods, under the influence of the sea water which has a high concentration of Cl ions. Generally, waters of the karst terrain of Montenegro are clean, as the karstic water can be, except in the regions under the influence of the municipal, industrial and other waste waters. Karstic waters, not considering the influence of the sea water, belong to the magnesium -calcium- chloride-hydrocarbonate type of water.